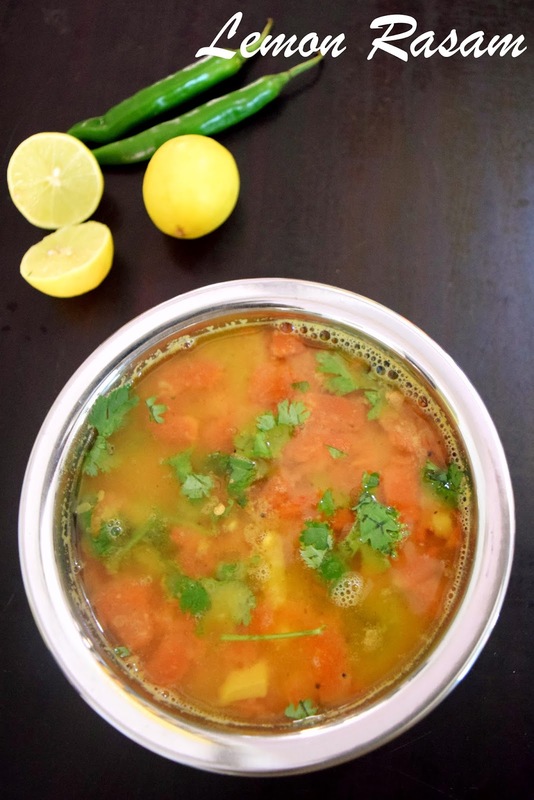 Here's a rasam recipe that does not require rasam powder. Only lemon, tomatoes, dal and lots of coriander leaves. Very mild and refreshing !!! 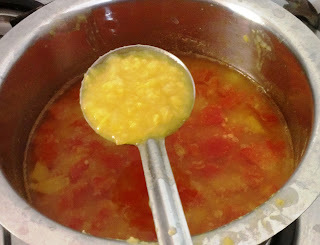 1.Cook toor dal in 2 cups of water in a pressure cooker for 3 whistles. Once it is done, whisk thoroughly and keep aside. 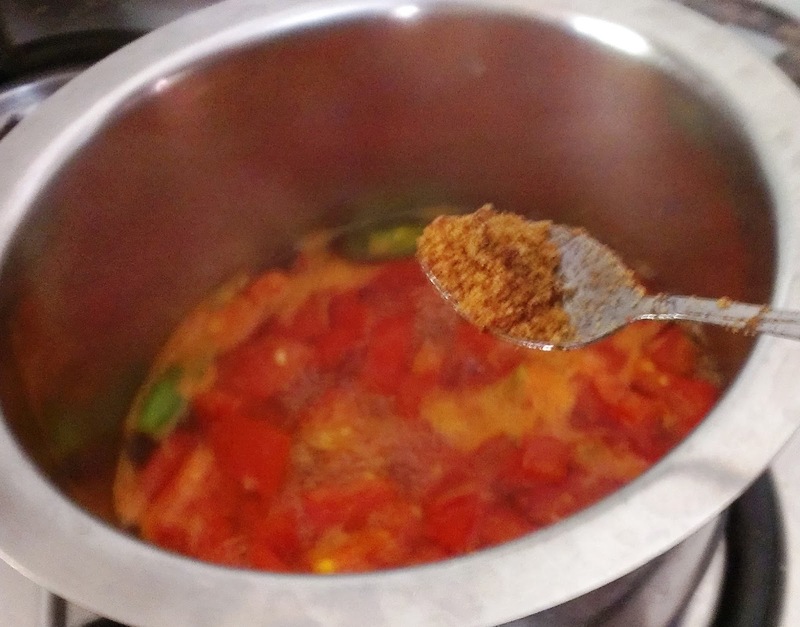 2.Take tomatoes, green chillies, turmeric powder, jaggery, ginger and salt in 2 cups of water and cook till tomatoes are soft. 3.Add dal and bring to a boil. Keep stirring in between as the dal can settle down and stick to the bottom of the vessel. 4. 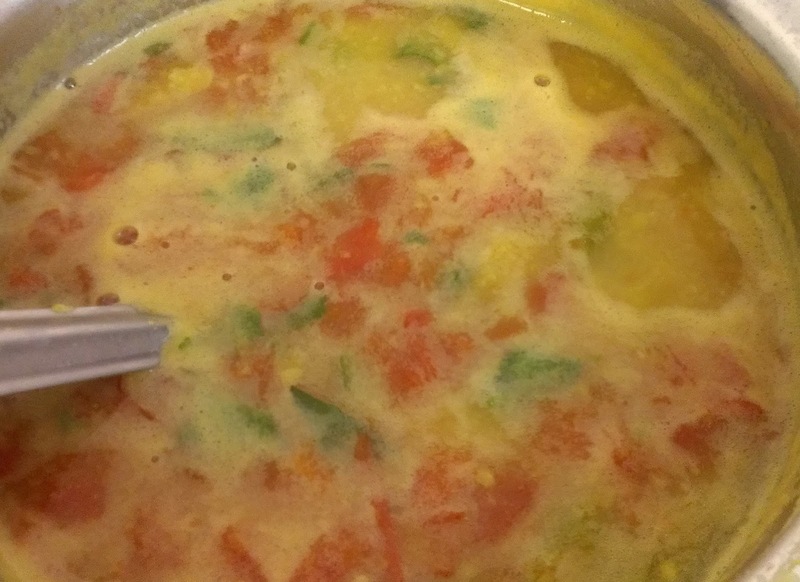 The rasam will start foaming. Switch off gas at this stage. 5. Add lemon juice and mix thoroughly. 1. Heat oil. 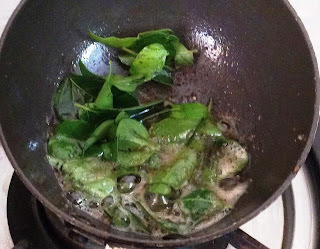 Add mustard seeds, when the mustard seeds begin to splutter, add curry leaves and jeera pepper powder. Add this to the Rasam. 2. Garnish with coriander leaves and serve with rice. You can also prepare this rasam without tomatoes. what did you mean by this line? also did you use black peppercorns? Toor dal (Hindi) is also know as split pigeon peas or split red gram in English. 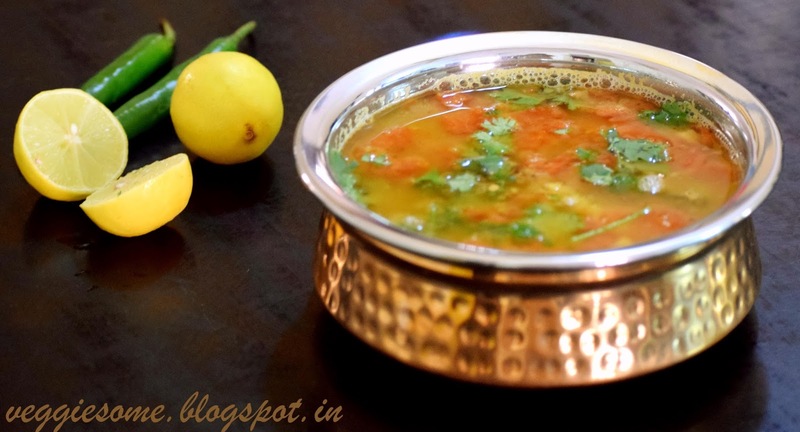 This recipe required toor dal which needs to be cooked in a pressure cooker (widely used in Southern India). Yes, black peppercorn and cumin seeds are coarsely ground and used for the garnish. 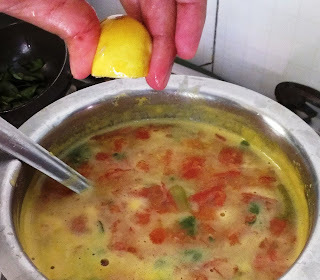 thanks for the reply, your lemon rasam looks so nice and is simple to cook. i dont have pressure cooker, how do i cook my toor dal? Soak the dal in 2 cups of hot water for 1 hour, drain excess water. Add 2 cups of water and cook for 15 to 20 minutes till the dal is soft and mushy.